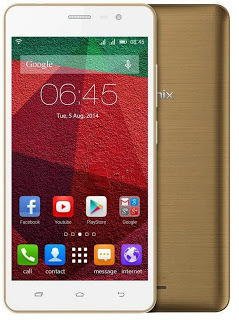 I know most of us have been waiting for the infinix Zero 2 which was suppose to be released on the 28th of March 2015. But due to some reasons, the date has been postponed to the 4th of June 2015. While we all were busy waiting for the release of the Infinix Zero 2, Infinix decided to give us a shocker by releasing the infinix hot note pro. Though only the specs has been released and no price has been officially announced yet, the device is going to be on sale by 4th of June 2015 alongside the long awaited Infinix Zero 2. The Infinix Hot Note Pro is an upgrade to the Infinix Hot Note, though it is also powered by a 1.4ghz octa core processor, 4,000mah li-polymer battery, It is enhanced with a larger inbuilt memory of 32gb,2gb Ram, Full HD 1280 x 780 pixel and a 13mp rear camera.